On Tuesday, you will tend to be annoyed by the behavior and way of communicating of people who do not live in your home. It is possible that these are people you will meet for the first time, or with whom you always have a difficult relationship. LOVE: If you have a relationship with a partner who lives or works in another city or country, a misunderstanding or an unpleasant dispute will arise today. Young women will be prone to manifestations of discontent and focus only on their own desires and feelings. If you were born under the sign of Aries, Leo, or Sagittarius, your attention today will be on restoring broken family, friend or professional relationships. News or an event can change your plans for today. Today you will have dreams or strange feelings related to a person from the Beyond. If you were born under the sign of Taurus, Virgo or Capricorn, be cautious today, as there is a sign of deception, manipulation or theft. Today you will be able to realize your home or family plans. Tuesday will be a good day for commitments and financial tasks. If you were born under the sign of Gemini, Libra or Aquarius, today your patience will be put to trial because of the unwise or provocative actions of people around you. They will probably be aimed at provoking a conflict that would make you wrong or make you feel guilty about something. Traveling today will bring you a lot of emotions and experiences. 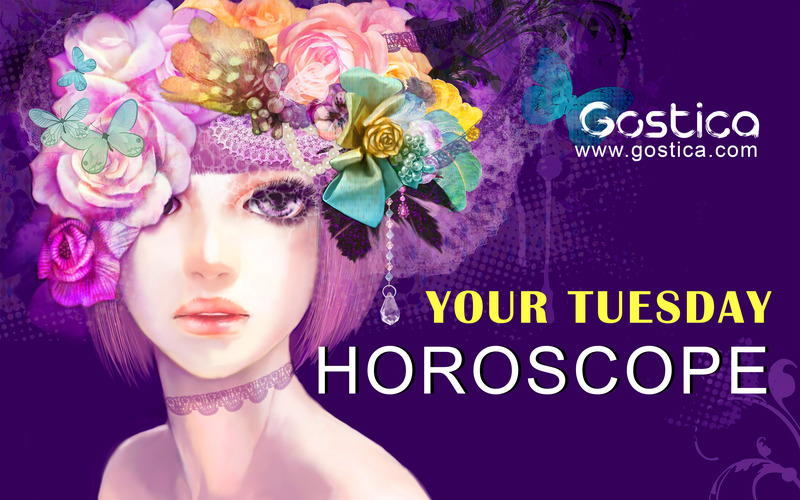 If you were born under the sign of Cancer, Scorpio or Pisces, Tuesday will be a good day to solve problems and misunderstandings. With tact and diplomacy you will be able to achieve a lot, so avoid cunning and fake words. It would be good to spend part of the day in solitude or meditation and provide yourself a complete rest. You may need a little more advice on this day as your opinions are not complete. You’re at risk of making a bad impression if you don’t rely on someone who is a little more experienced than you. You have to fill in your gaps, not only to make decisions, but also to explain your thoughts. If you give a partial view, how do you think it is possible for someone to follow you in your adventures without knowing what awaits them? You can finally make a decision that will not sack others because lately you have extensively researched on every issue that concerned you and your work. In fact, you are ready for any eventuality, any criticism, any judgment or question that you will be asked because you have long thought and learned from your mistakes. Nothing can go wrong this time. You are rather uncertain about your imminent future. You are not convinced of certain aspects. Instead of facing them, reflecting on them and thinking about them, you prefer to go further and this only makes the situation worse. If you ever put yourself to the test, you will never be able to understand whether you are worthy or not of the role you play. You can maintain your strength and constancy. It is a sign of intelligence to question yourself and face the consequences. You have a hard time taking a project seriously that a friend introduced you to. There’s still something you worry about that keeps bothering you even though you have almost put an end to it. It would be more appropriate to focus on the first issue. You should give the impression to the people who trust you that they have perfectly understood the importance of what they have entrusted to you. On this day, there are opportunities that will test you and surely you can only take the best part of it. There is no success without suffering. You will find other difficulties on your way, but you will face them with great dignity because you know you are perfectly capable to handle them. It is not wise to not show up to an agreed meeting. You would only unleash their anger towards you. Be honest. You have already promised other things in the past, which you have not kept. You may cause a chain reaction that you don’t even realize. It will then be useless to cry over spilled milk.